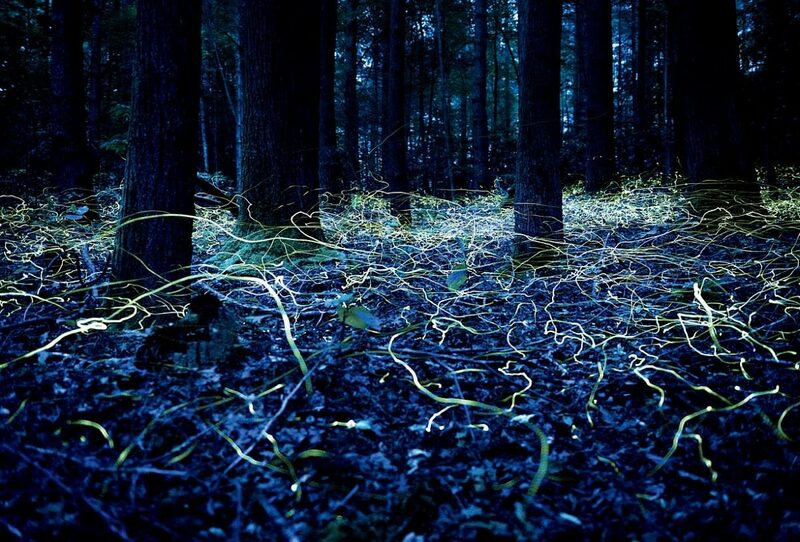 Male blue ghost fireflies (Phasis reticulata) weave glowing paths in the forest as they search for wingless females. Silent Sparks: The Wondrous World of Fireflies, by Sara Lewis ’75, RI ’90 (Princeton, $29.95). The author, an evolutionary biologist at Tufts, appropriately begins this profusely illustrated book, about the magical creatures that first lured many a child to science, with a preface titled “Confessions of a Scientist Enraptured.” Her informed, enthusiastic guide to “the best-loved insects on Earth” is reason enough to look forward to summer nights. How to Grow Old, by Marcus Tullius Cicero, translated by Philip Freeman, Ph.D. ’94 (Princeton, $16.95). You think you have it bad? Cicero, in his sixties, was twice-divorced, had lost his daughter, and been pushed from public life by Julius Caesar, as Freeman, a classicist at Luther College, notes in his sprightly introduction to this translation of De Senectute. Among the “ancient wisdom” on later life that it offers, he notes, are sensible lessons on exercising the mind and on liberating oneself from the excessive youthful focus on sensuality. The Path, by Michael Puett, Klein professor of Chinese history, and Christine Gross-Loh, Ph.D. ’01 (Simon & Schuster, $24.99). Drawing upon Ethical Reasoning 18, a General Education course that immerses students in the wisdom of Confucius, Mencius, et al., the authors suggest that ancient Chinese philosophers have much to teach about living a good life today. In an age of raucous self-assertion, the idea that influence can stem from self-restraint might come to have viral appeal. The Big Picture, by Sean Carroll, Ph.D. ’93 (Dutton, $28). Proceeding along a different path from the ancient sages, Carroll, a theoretical physicist and cosmologist at Caltech, begins at the beginning (“We are small, the universe is big”), and proceeds to explore “the hardest problem of all, that of how to construct meaning and values in a cosmos without transcendent purpose.” Note to publicists: the book may be too modestly titled. 5 Easy Theses, by James M. Stone ’69, Ph.D. ’73 (Houghton Mifflin, $24.99). During an especially loud, unilluminating election campaign, a former financial regulator and insurance executive outlines “commonsense solutions” to “obviously consequential problems”—keeping Social Security solvent, delivering affordable healthcare, and so on. Of course, as those problems loom larger, “it seems that our politics become smaller.” But Stone, summoning Adam Smith, remains hopeful. Economics Rules: The Rights and Wrongs of the Dismal Science, by Dani Rodrik, Ford Foundation professor of international political economy (W.W. Norton, $27.95). An economist, concerned that his peers “do a bad job of presenting their science to others,” reveals the field’s “large and evolving variety of frameworks, with different interpretations of how the world works” and diverse policy implications. The rap (that economics is a “single-minded paean” to markets and self-interest) is self-inflicted, he tells practitioners and lay readers alike. Inside Ethics, by Alice Crary ’89 (Harvard, $49.95). A philosophy professor now at the New School critiques approaches to ethics, and explores the use of moral imagination. The subsequent applications, particularly focusing on the moral kinship of humans and animals, may prove more accessible to lay readers or those concerned with the issues apart from philosophic theory. When We Are No More, by Abby Smith Rumsey ’74, Ph.D. ’87 (Bloomsbury, $28). The subtitle (“How digital memory is shaping our future”) suggests some of the tensions this archivist and historian explores. In an era of information overload and evanescent storage technologies, the future emphatically isn’t what it used to be. Emblems of the Passing World, by Adam Kirsch ’97 (Other Press, $24.95). The poet and critic, a contributing editor to this magazine, attempts the audacious: crafting poems to accompany August Sander’s austere portraits from Weimar Germany. The results range from just right (“After so many decades in the sun, / The man of the soil begins to look like soil—”) to quietly devastating (“Cities are destroyed by fire / And rise again; / Conquering armies melt away, / Hemorrhaging men;…”). You Come Too: My Journey with Robert Frost, by Lesley Lee Francis ’52 (University of Virginia, $34.95). The iconic poet’s granddaughter illuminates his life and work in a family memoir. Nothing Ever Dies: Vietnam and the Memory of War, by Viet Thanh Nguyen, RI ’09 (Harvard, $24.95). A novelist turns to criticism and cultural inquiry to reveal how it is that “all wars are fought twice, the first time on the battlefield, the second time in memory.” The conflict in question, of course, is the one that engaged his two countries; that it is known as both the Vietnam War and the American War makes the point bluntly. The William Hoy Story, by Nancy Churnin ’78, illustrated by Jez Tuya (Whitman, $16.99). As the National Pastime resumes, children and adults will enjoy this charming picture book about a deaf Major Leaguer who excelled in center field and at stealing bases. The Dallas-based author is a Rangers fan.